We began our last full day (DAY 3) in Chinatown for yum cha 飲茶, literally Cantonese for “drinking tea” but the term is commonly used to refer to drinking tea with dimsum. I suppose this term originated in Hong Kong but is famous in Chinatown all over the world. The taxi cab dropped us in Temple Steet and we were surprised to find that at 9am, Chinatown Singapore was still sleeping. Shops were still closed or just opening its door, quite different to Hong Kong or Manila where yum cha can begin as early as 7am. And funny that we came to a restaurant called Yum Cha, funny ha ha. We were iffy at first for what respectable restaurant uses generic word for its name? 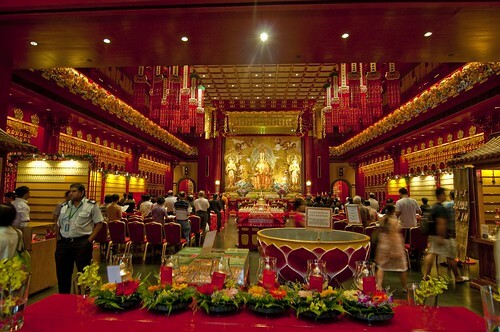 But since we were almost the only people in the still deserted Chinatown, there’s no local crowd whom we can follow. 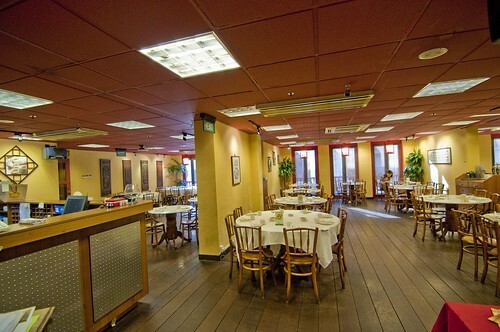 It’s a very useful eating tip in traveling – go where the locals go. Needless to say, we were the first patron. But in about half an hour, it proved to be a really popular place as the tables were very quickly filled up. The tea and dimsum were good. 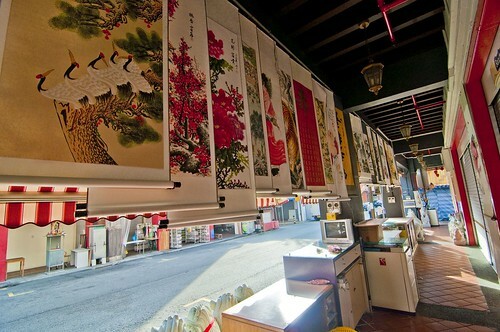 We walked around Chinatown full of souvenir shops and Chinese drug stores. 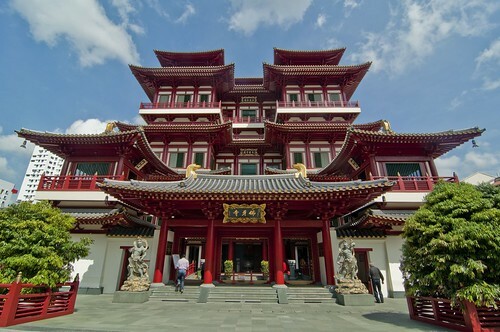 Aimlessly we found the Temple of Buddha Tooth Relic and went to check it out. It was ok, plenty of gold and red. 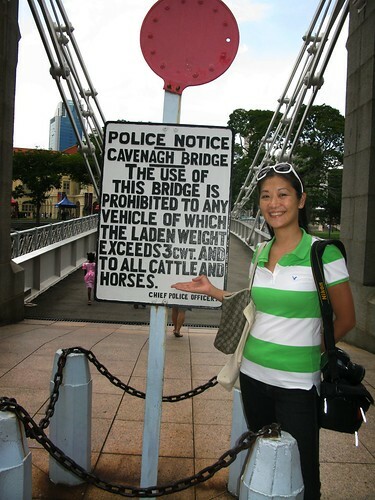 Be aware cattles and horses! 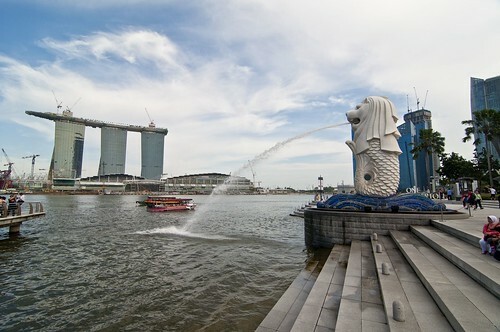 The view from the Merlion Park, the official symbol of Singapore. 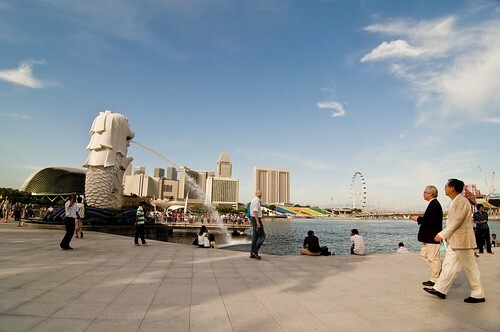 Also in the beautiful cityscape are the durian shaped Esplanade building and Singapore Eye (ferris wheel). On the photo below find the new addition to the cityscape, the triple tower Marina Bay Sand. It promised to be the most spectacular entertainment destination due to open this year. stunning colorful photos lil! 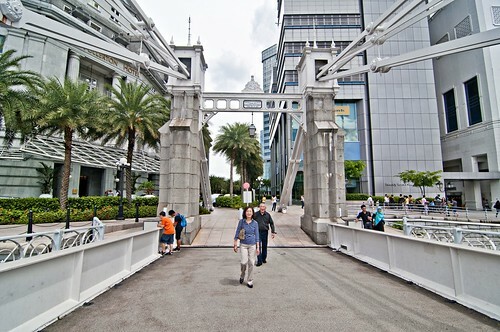 last year was the first time i went to singapore and a lot of my friends were surprised too. thing is, everything was too expensive for us so we boarded a malaysia-bound bus 2 hours after arriving. haha! so i haven't really seen what the country's like yet.